Our range of products include frp roofing sheet, color coated roofing sheets, transparent frp roofing sheet, polycarbonate roofing sheets, cladding roofing sheet and roofing sheet. Matching up with the exact requirements of customers, we are involved in presenting a wide array of Polycarbonate Compact Solid Sheet. 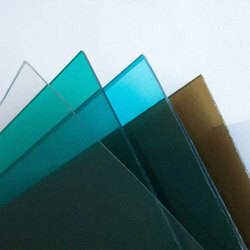 Polycarbonate Solid sheet offer higher level of glazing performance, it is easily formed, fabricated and extremely stronger and more durable. (Applications for Sound absorption wall for freeways, and MARTS. 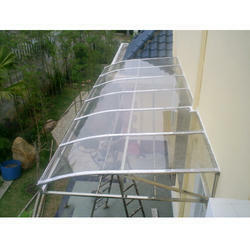 Housing glasses, indoor partitions, sidewalk, sight window.etc.